When you are planning your honeymoon in Mexico, then the first thing you want your honeymoon to be is romantic and adventurous. 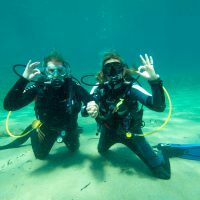 If you are looking for more than just sitting on the beach drinking a delicious cold drink, then why not think about getting a diving certification in Mexico while you are on your honeymoon? Mexico is a country that is known for its stunning sandy beaches, wildlife, ancient ruins, and traditional Mexican food, but it also have nearly 7,000 miles or 9,330 km of breathtaking coastlines that are home to the most beautiful marine life and reefs. Dolphins are amazing and highly intelligent animals. 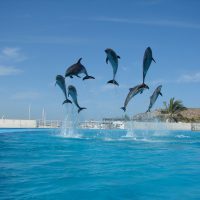 Swimming with dolphins will give you unique experiences and these can happen when you visit Cabo San Lucas. Not only will your dream of swimming side by side with these magnificent animals will come true, you can even become one of their trainers! Cabo San Lucas will provide this thrill of a lifetime. In Cabo, your direct encounter with the Pacific bottlenose dolphins will include exciting and varied activities. Puerto Vallarta is a very pleasant and wonderful city and it is no wonder that many vacationers call Puerto Vallarta their home away from home. One reason Puerto Vallarta is so nice and pleasant is because it is so easy to get around the city and enjoy all the fun activities and sites along with the restaurants in Puerto Vallarta. 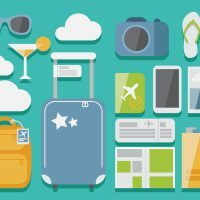 Vacationers can get around the city for an affordable price. Mexico’s Cancun and the Riviera Maya are known for their spectacular resorts. These locations can be found in the Yucatan Peninsula on the Caribbean Sea, and both are filled with bright white sandy beaches and clear blue water. The natural scenery and the resort luxuries are sure to allow anyone who chooses vacations to Cancun to chase all their worries away. 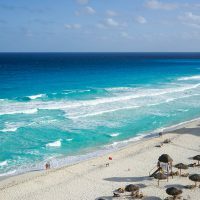 Regardless if you are a food lover, a beach fanatic, an adventure lover, a history lover, or a lover of the finer things in life, you are bound to find something to satisfy your personal tastes while vacationing in Cancun.